Buzzards Bay was designated "an estuary of national significance" which is "threatened by pollution, land development, or overuse" in 1989. One of the largest threats comes from marine oil spills. The bay has been impacted by at least 16 major marine oil spills between 1963 and 2013, according to the Buzzard Bay National Estuary Program. 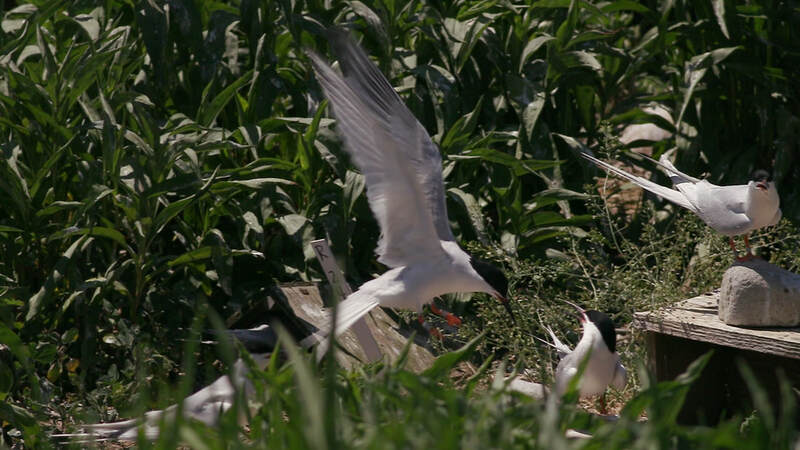 Buzzards Bay is home to the largest nesting colony of Roseate Terns in North America. Their name comes from the delicate pinkish coloring sometimes visible on their chests. Their bill is a seasonal color shifter which turns black in May, becomes progressively redder from the base toward the tip during June and July, and then darkens again in August. These endangered terns arrive in Massachusetts in Late April-early May to establish nests. Once common, the population dropped to just 2,500 pairs in 1978. Today, supported by biologists working with MassWildlife, the population has now increased to some 4,000 mating pairs. Carolyn Mostello studying roseate terns on Ram Island. Photo: CGP. 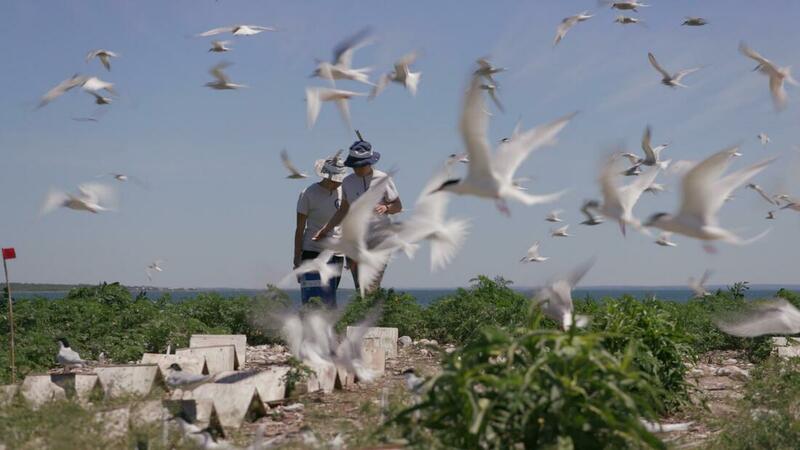 ​“These aren’t populations that are self-sustaining," explains Carolyn Mostello, a seabird biologist with Mass Wildlife. Part of the problem, she says, is there are only three breeding colonies left in North America, and all are located on small low-lying islands along the North Eastern coastline. ​This makes these breeding grounds vulnerable to long list of potential threats, including careless human visitors, dogs, rising sea levels as a result of climate change, destructive storms, and oil spilled into the water, either intentionally by commercial vessels looking to dispose of used oil and oily waste, or as a result of industrial accidents, both of which happen far more frequently than you might imagine. The last major accident happened on a warm spring evening, on April 27, 2003, when the Bouchard oil barge #120 hit a hidden rock, spilling nearly 98,000 gallons of No. 6 bunker fuel into Buzzard's bay. The accident occurred just as the roseate tern's breeding season was getting underway, swamping the shores of their nesting grounds on Ram Island. The environmental damaged unfolded across nearly 100 miles of coastline for weeks afterwards as migrating birds including gulls, loons and sea ducks were exposed to the heavy sticky oil as they fed in offshore waters. 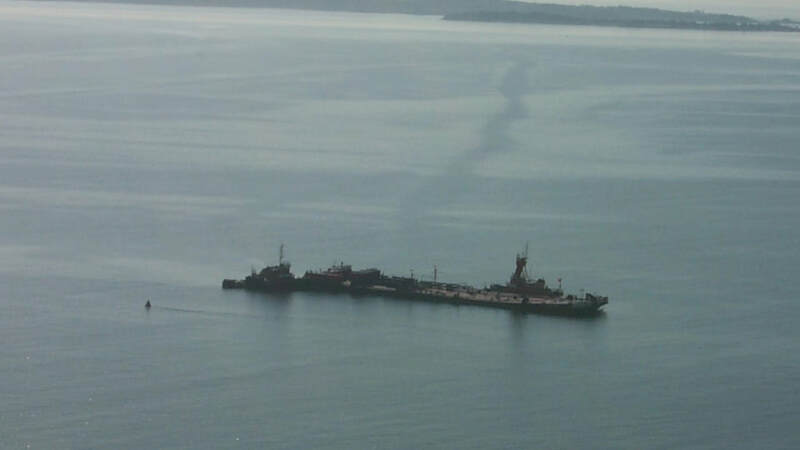 The bouchard oil barge #120 leaking oil after hitting a submerged rock in Buzzard's Bay on April 27, 2003. Photo: US Coast Guard. 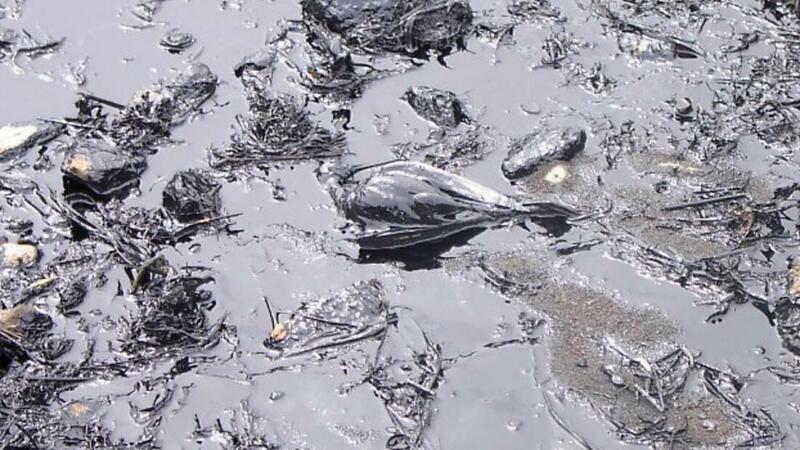 Biologists estimated that thousands of birds died as a result of the spill, including endangered terns, loons, eiders, dunlins, scoters, and gulls. More than 500 common loons also perished from exposure to oil, and the death of adult common and roseate terns, and the subsequent disruption of their nests, led to the loss of thousands of chicks. Learn how Carolyn Mostello, a Wildbird biologist working with Mass Wildlife, designed a plan to defend the endangered birds breeding ground on Ram Island from the deadly oil spill. The spilled oil also impacted a variety of salt marshes, rocky shorelines, recreational beaches, and shellfish beds along nearly 100 miles of coastline in Massachusetts and Rhode Island. 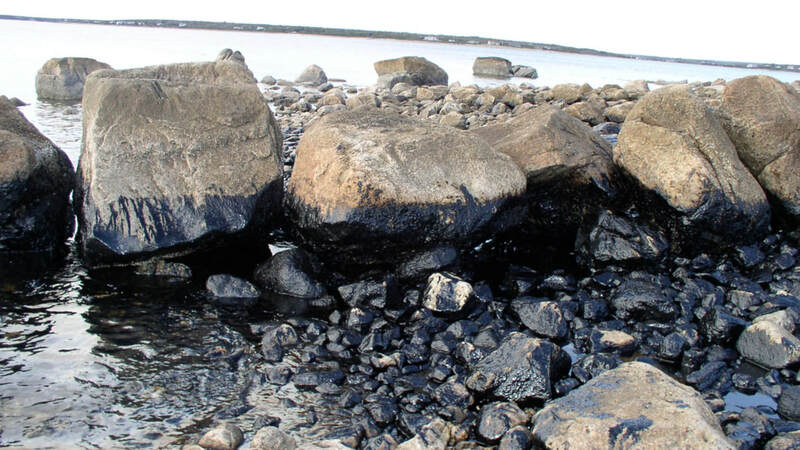 Oiled rocks along Buzzards Bay after the Bouchard 120 oil spill. Photo courtesy of The Buzzards Bay Coalition. The Bouchard #120 spill was so devastating that it led to the passage of the Massachusetts State Oil Spill Act of 2004, which required double-hulled tugs to reduce the risk of spillage and that licensed pilots be at the helm of tugs escorting barges transporting oil in the bay. Bouchard Transportation, the company that owned barge, paid $6 million dollars in damages in 2010. However the damages to the ecosystem continued to accrue, and in 2017, the company reached an additional settlement, setting the financial cost of the environmental damage at $19 million dollars.